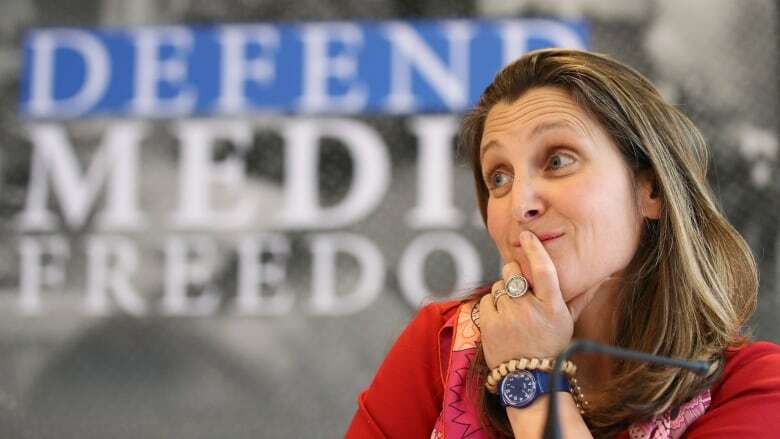 Canada’s foreign minister said on Friday it was likely that foreign actors would meddle in the country’s October elections, and her British counterpart said a deterrent to stop countries like Russia from interfering was critical. Canadian Global Affairs Minister Chrystia Freeland said on Friday it was likely that foreign actors would meddle in the country's October elections, and her British counterpart said a deterrent to stop countries like Russia from interfering was critical. When asked whether she was worried Russia would interfere in the election, Freeland said she was "very concerned." "Our judgment is that interference is very likely and we think there have probably already been efforts by malign foreign actors to disrupt our democracy," she said, speaking at a media freedom event on the sidelines of a G7 foreign ministers meeting in France. Freeland said such attempts were not aimed at securing a particular outcome in a national elections but to polarize Western societies. Her comments echoed those of her cabinet colleague, Democratic Institutions Minister Karina Gould, who earlier this year said it would be be "naive" to assume Canada won't be targeted in the lead-up to the election given its membership in the North Atlantic Treaty Organization (NATO) and participation in the Five Eyes intelligence alliance. "We know that states like Russia have got a very active, planned, thought-through strategy to interfere in democratic processes in Western countries and [to sow] dissension and chaos wherever they can," Hunt said. "We are getting much better at fending off these attacks when they happen. What we don't do at the moment is deter them from happening in the first place." To ward off the type of threats that tainted the 2016 U.S. presidential election and the Brexit vote, the Canadian government is setting up an internal team to sound the alarm if it sees evidence of meddling.